Good book for readers of all ages. I was doubtful at first, but once I got started I couldn't put it down. This book is good I loved it! 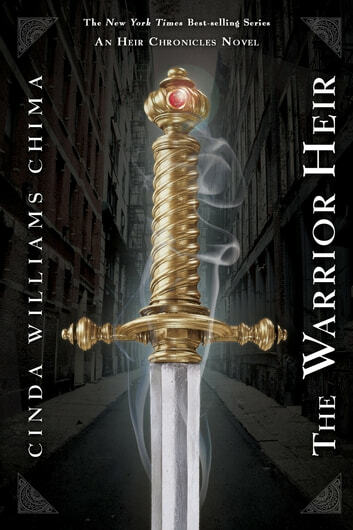 (I say that obut all advencher books NOT the hnger games book #3) So the warrior heir is by Chinda Williams Chima but the heir seres is not like Chima's other seres (not in the same world) in all I give it a 9/10! The last 10% is was that I was thinking the heir seres was in the 7 relms world. But read it. A great intro to a world of magic, secrets, and action! 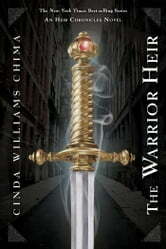 There was a lot of lore to be told in this YA urban fantasy series, but I understood most of it pretty well. The story itself was great and while I predicted certain parts, they still managed to surprise me and keep me reading, and certain plot lines were written with excellence. I really enjoyed all the characters. Jack made for an easy to follow protagonist, and his friends Will and Fitch were fun, but I'm not going to lie: Hastings and Linda stole the show. I found him to be quite complex and tormented, deeply layered and flawed. Linda is a total firecracker and I truly hope to see more of them and their complicated relationship in the future. There was a lot of action throughout the book, right until the very last pages. I think there was too much of an ex machina at the end, but I still had a lot of fun reading this book and look forward to experiencing the rest of the series! The names are nice , the book is long just how I like it.